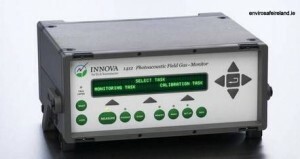 Photoacoustic Gas Analysers are highly accurate, reliable and stable. Their measurement principles are based on the photoacoustic infrared detection method. This means that they can speciate between almost any field gas that absorbs infrared light at a very low detection limit (PPB range). Excellent Gas selectivity without interference from water vapor and other gases is achieved through the use of optical filters. ​​a1-cbiss supply Photoacoustic Analysers as standalone monitors or as part of a bespoke system. The Photoacoustic Gas Analysers Innova 1412 can be used in a wide range of applications e.g.